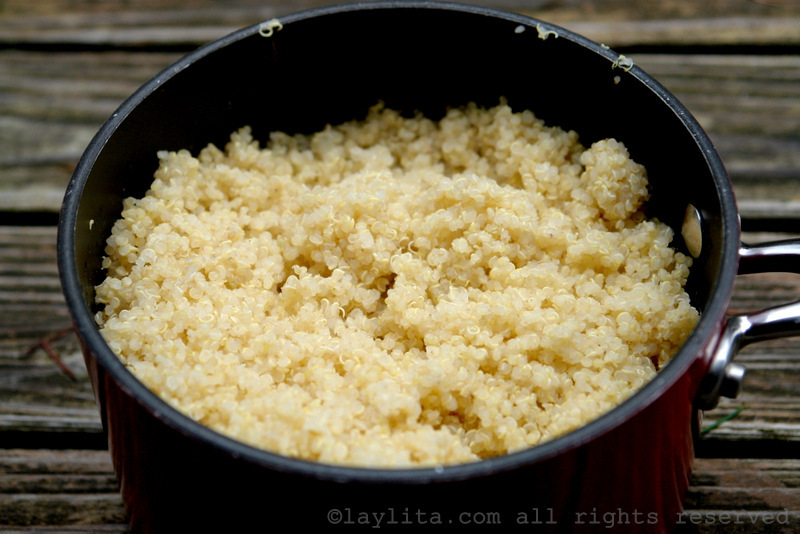 This is a very basic and easy way to cook quinoa or quinua. 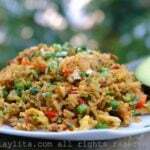 The preparation is very similar to cooking rice, however quinoa does require more liquid than rice does. The amount of water in this recipe is for cooking at sea level, if you live in place with high altitude you will probably need to add additional water. I recommend, if possible, to use quinoa that has already been washed and rinsed, it will say pre-washed on the label. If that’s not the case, you will need to rinse the quinoa several times, this helps remove the bitter like taste that it has. 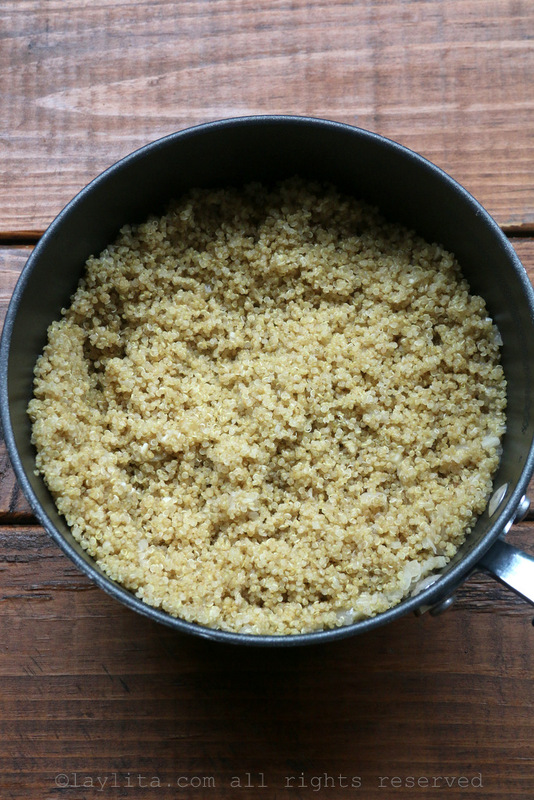 You can cook the quinoa very simple with just water, but it does taste better if you use broth – you can choose the kind you want. Add the onion and garlic, cook until soft, about 3-5 minutes. Add the quinoa and stir until the quinoa grains are coated with oil. Add the lightly salted water or broth. 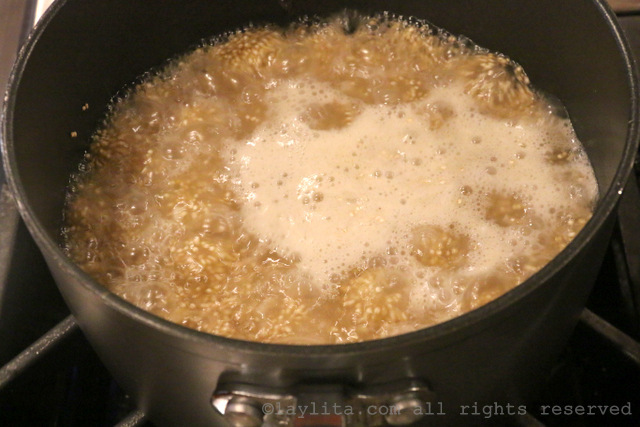 Bring to a boil, reduce heat to low, cover, and let simmer for about 15 minutes or until the water has evaporated and quinoa is tender. 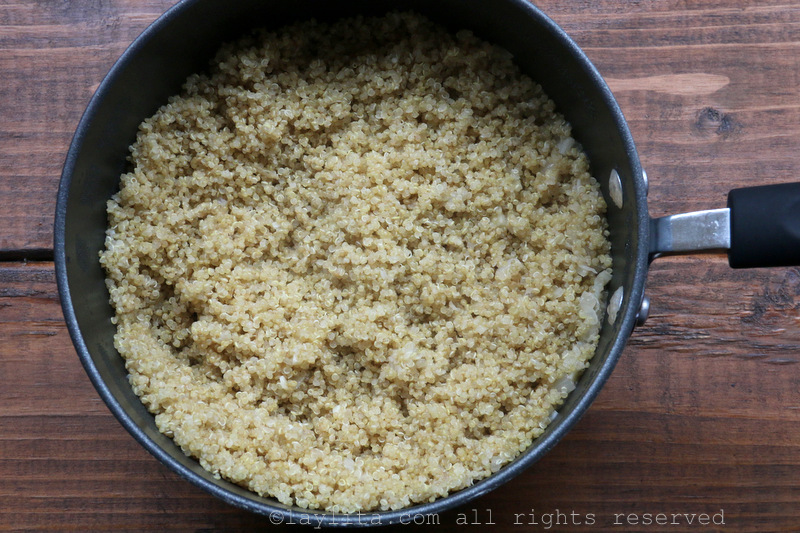 Use a fork to fluff the quinoa and transfer it to a bowl. 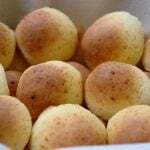 You can serve it warm, or use it in a variety of dishes from salads to soups, or use it to replace rice in classic dishes like arroz con pollo (chicken rice) or arroz marinero (seafood rice). I sometimes also add a tablespoon of butter on top at the end and just let it melt into the quinoa. I can’t recall ever having had Quinoa before. But in my brief time here have seen it mentioned in some your various dishes made. Will have to try it, something else for the to make list. However again, just learning the basics of how to make something at it’s basic level goes a very long way. Keep up a most awesome food blog. 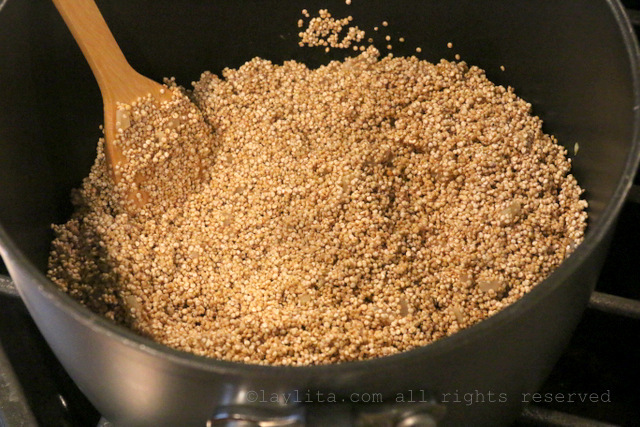 Do you rinse the quinoa before cooking? I buy the pre-washed type and it doesn´t require rinsing, however if you can´t find the pre-washed quinoa you will need to a) pick through it to remove any pieces of dirt, small rocks, etc and then b) rinse it several times. Thanks for this. Sometimes it’s basic things like this that is really difficult to find on the Internet.